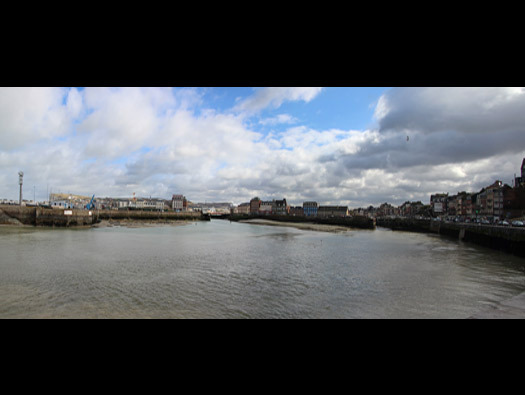 Wn Tre03, Le Tréport, Ville et Port, Stp. Gruppe Le Tréport, K.V.A. 'E1', Houte-Normandie. Wn Tre03, Le Tréport, Ville et Port. Wn Tre03, Le TrÃ©port, Ville et Port. Tre03 covers the sea front, the port entrance and the inner port and most of the town. It gets a bit hazy on the edge of the left cliff how much is Tre04,06 and 03. The new Casino and all the ugly block of flats along the front are all new and and the old Casino was demolished and where the flats are an anti-tank ditch was dug. The Ville, town looking down to the inner port. Below the first house by the steps was/is an R600b 5cm KwK gun and possibly another lower down. Also a field gun was around here somewhere. Possibly the second 5cm KwK with the steps going to the top of the cliff. View to the church with the Casino and several houses demolished. The port entrance with the Casino to its left. 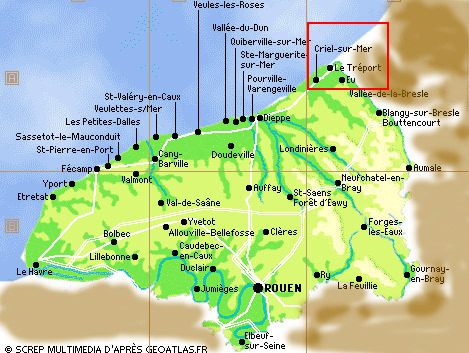 Wn Tre03, Le Tréport, Ville et Port 'Le Kähl Burg'. This a machine gun position set into the chalk cliff. 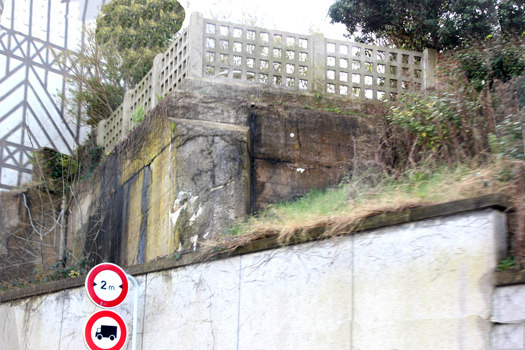 The bunker below was this Vf machine gun post, there would have been no houses in front just an anti-tank ditch and the sea front. A Vf machine gun position. The same row of houses with the Vf bunker. Anti-tank ditch concrete lined and would have been very hard for a tank to negotiate. The tunnel system runs behind the Funiculaire. 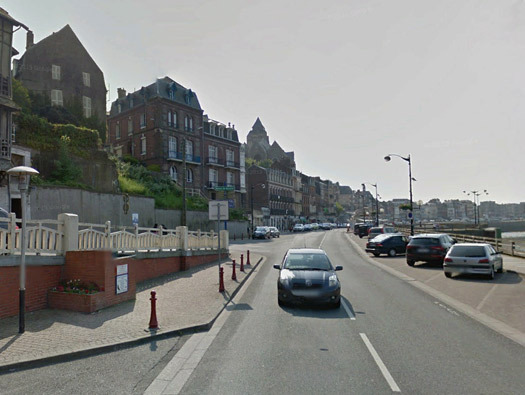 The sea front, there were no houses where the flats are now just an anti-tank ditch and defence positions and also quite a few large tree trunks to use as road blocks and anti-shipping posts. The second 5cm KwK R600b position. The same picture as the main one but in 1944. Vf Skoda gun Quai Sadi Carnot. Above the left hand lamp post is a Vf Skoda bunker with a Vf1a shelter. Pointing down the road covering the outer port. 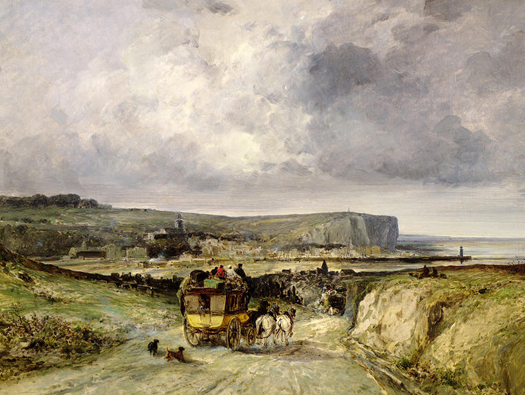 Le Tréport Jules Achille NoëlÂ (4 January 1815 â€“ 26 March 1881) was a FrenchÂ maritime painter, known for his depiction ofÂ seascapesnaval scenes.